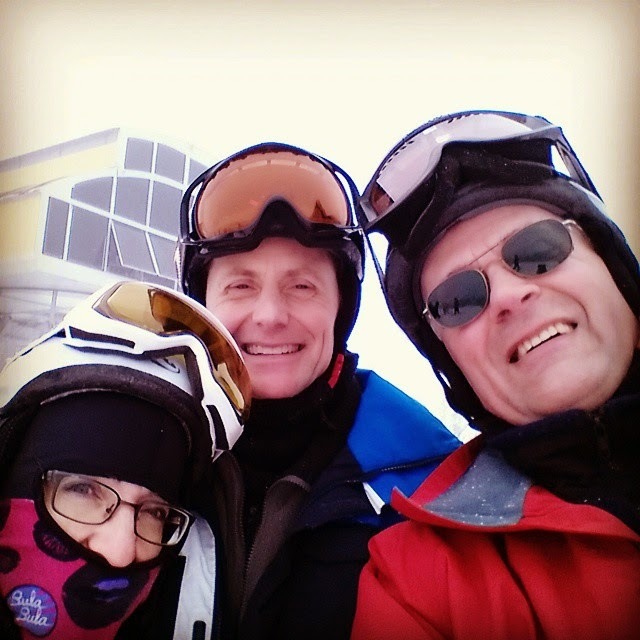 Vic and I took the day off work, and with our friends Bryan and Patti headed up to Silver Star for ski day #4. When we went to pick up our skis from the waxing place on the mountain we had a little surprise. The ski wax people misplaced Vic's skis (they thought they were lost) and he had to use rentals they provided him. It was a somewhat frustrating way to start the day, but the blue sky and good conditions all made up for it. Tonight we saw the Initiation Game. Such a good movie. Tomorrow is an early morning hockey game for Fynn so we will need to be rested for it.